If you have 105 or 600 on your Ironman, it should index shift a 28 cog without any trouble. Just screw in the B screw and pull the rear wheel as far back in the dropout as you can. You can buy a 38 tooth inner ring, eBay's the place. That's as small as you can go without replacing the crankset with one that has a 110 BCD. There are 13-28 freewheels out there. I have a couple. They'll index. FWIW, I ran GPX with a 13-28 AND a 52/42/28 triple. Can't you do both run a 28T and 39 up front? I have a 39 on one of mine and they're still available. But Jeez man, I think a 64 mile ride is exhausting for me just thinking about it. Ride on. Last edited by texaspandj; 08-27-17 at 10:41 AM. I've taken to starting with a 38-39 inner ring on most all my bikes, and then adjusting with rear gearing. 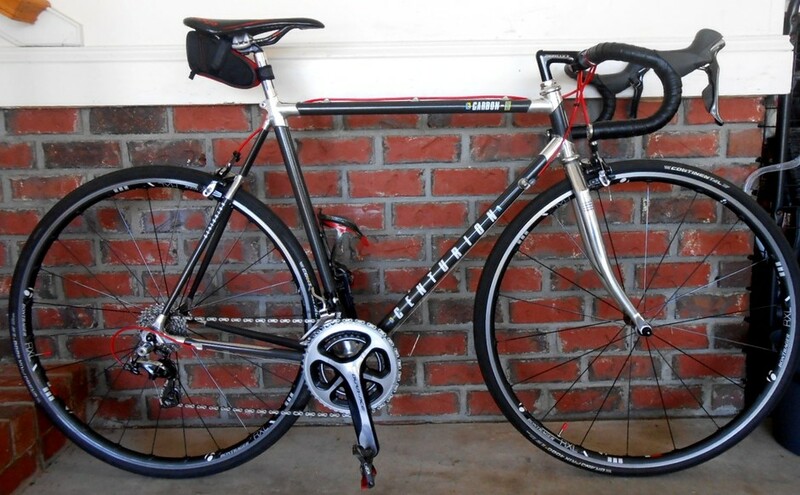 My Litespeed, Ironman, and now the Marinoni are setup that way. Heck, I just bought a Campy crank just because it had a 39 inner ring- took the chainring, and passed the rest along. Mine's the '89 Expert, Suntour GPX. Not sure if it'll index with a 28 rear. I've gotten spoiled by indexing, although I suppose I could go back to friction with some practice. Index or friction on the 13-28? Did the original GPX front derailer/shifter work with that triple? Which 39 ring did you get? I'd probably start with that and see how it goes with the 13-24 Suntour original and 13-25 Sunrace spare. I'm needing just a little more oomph, might not need the 28 rear. We'll see. BTW, a friend rode 345 miles this weekend, to and from the Hotter'N Hell Hundred, in 32 hours. Averaged 17-18 mph throughout. Yeah, he's a little younger, in his early 40s. But, still... beast mode activated. I can hardly even move today after my 64 mile ride Saturday. Thanks, I may try just a 39 if I can find one to fit the existing crankset. I believe I grabbed mine from EvilBay. Index, with a SunTour Alpha 13-28, which I believe is Shimano 7 spaced. I had swapped out a Deore FD for the ride. Thanks. I took a couple of test rides on my heavier Univega with 30/40/50 triple and 13-28, using only the 40T chain ring, on some hilly routes that have thwarted me on the Centurion. To be realistic I'll have to go with both a 39T chain ring and a 13-28 freewheel on the Ironman. I'm definitely not a masher but can spin up those hills on the heavier Univega without feeling like I'm beating myself up. Should be even better on the Ironman. Just a note that on my 86 classic and 87 MV there's an indention/flute on chainstay where chainrings pass but not present on my 88 master, or 89 expert or 89 master. It really doesn't mean anything in the scheme of things but it's another identifying marker. This sticky is a great source of info. I have been offered an 86 for a ridiculous price and found out all I needed to know about the bike here. That's right RT, NO words needed. Has anyone measured the original chain length/link number on an Ironman with 52/42 chain ring and 13-24 freewheel? Have you found a longer than usual chain length to work better? I just realized this week I may have cut my new KMC Z72 chains incorrectly. I used the Suntour chain that came with the bike as a guide, assuming it was the original and therefore the correct length. But this week I noticed what felt like unusual resistance, almost like binding, with the new chain in the 42T chain ring and 24 freewheel cog. Over the summer it seemed like I was struggling more on hills, despite being faster overall. It was unusually hard to climb with the Ironman in the 42 chain ring and 21 or 24 tooth freewheel cogs. It was less strain climbing with the heavier Univega hybrid in the same gear ratio. The crank spins freely. Ditto the hubs and freewheel. No brake rubbing, etc. But when I spun the crank backward I could feel unusual resistance in the 42/24 combo. One thing I'd changed which affected chain tension was moving the rear wheel as far back as it would go in the adjustable dropouts. But that amounted to only 1/4" from the original setting. I disassembled and cleaned the jockey wheels again (I did this back in July). They were already a bit sluggish, so the Park CL-1 lube wasn't a good choice. For now I'm leaving them dry until I decide on a more suitable lube. But even with the dry, free-spinning jockey wheels there was still unusual resistance in the 42/24 gear combo. The rear derailer cage seemed to be at an unusual angle, and since I was swapping to a 13-25 SunRace freewheel I didn't want to risk damage. 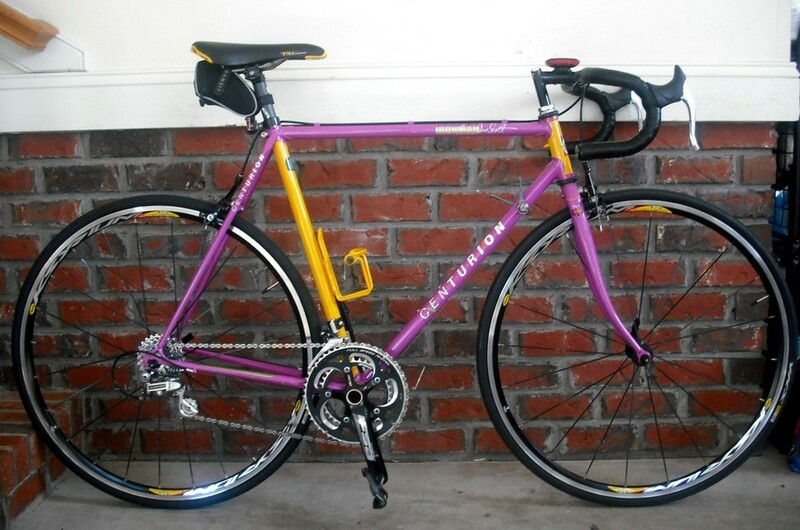 Especially since I might go to a 13-28 freewheel later, depending on how it goes with the 39T chain ring next week. I added two links to the KMC Z72 chain. Now there's much less resistance when spinning the crank backward in the 42/24 combo with the original Suntour freewheel, and 42/25 combo in the new SunRace freewheel. Apparently the chain tension was much too tight. It still doesn't spin as freely as it should, or as freely as my other two bikes. Subjectively, the bike felt a bit quicker on Saturday's ride, but that didn't include any serious hills where I'd normally need the 42/24 combo. I'll tackle that Sunday or Monday on some pesky climbs that have defied any improvement in speed. So I'm guessing the Suntour chain that came with the bike was way off and I should have measured from scratch via the usual methods. Anyway, just curious whether anyone else has measured their chains or has specs on the original chain length. Last edited by canklecat; 09-24-17 at 12:07 AM. Try graphite powder, it lets you keep the jockey wheels very dry so as to not attract gunk yet still remain well lubricated. I buy mine from my local hardware store, 'Pressol'. As far as chain tension, personally I like to use the B Screw for the final tweaking. Has anyone measured the original chain length/link number on an Ironman with 52/42 chain ring and 13-24 freewheel? I think it depends on the frame size. I pretty much start from scratch, almost never use the original chain. Have you found a longer than usual chain length to work better? Some of those older chains really, really don't like being tight. Or perhaps the drivetrain doesn't because those chains were overstrong. Then again, I can't remember not swapping the chain out on any build.
. But this week I noticed what felt like unusual resistance, almost like binding, with the new chain in the 42T chain ring and 24 freewheel cog. Over the summer it seemed like I was struggling more on hills, despite being faster overall. It was unusually hard to climb with the Ironman in the 42 chain ring and 21 or 24 tooth freewheel cogs. It really shouldn't be; that's a fairly straight chain line. I'd look to a bent axle or slipping QR first. The crank spins freely. Ditto the hubs and freewheel. No brake rubbing, etc. But when I spun the crank backward I could feel unusual resistance in the 42/24 combo. Check for a bent chain ring, see if you've got a bind in the BB spindle (visually easy to see). Then, like you, I'd move rearward. First thing I'd check is the rear wheel alignment. Resistance can come from gears/pulleys/chain path, but generally is overcome by the power of our massive thighs..... Resistance at the wheel is much more noticeable, and a crooked rear wheel is scrubbing against the pavement (and sometimes the frame), so check that. One thing I'd changed which affected chain tension was moving the rear wheel as far back as it would go in the adjustable dropouts. But that amounted to only 1/4" from the original setting. Are you using the dropout adjusters? Highly recommended, and I've found that about mid-way in the dropout seems to work well. I disassembled and cleaned the jockey wheels again (I did this back in July). They were already a bit sluggish, so the Park CL-1 lube wasn't a good choice. For now I'm leaving them dry until I decide on a more suitable lube. But even with the dry, free-spinning jockey wheels there was still unusual resistance in the 42/24 gear combo. Even a crudded-up jockey wheel shouldn't cause that much noticeable resistance, more like chain slap or chain issues when back-pedaling. It's hard to find, but Slick 50 1-Lube is my absolute favorite for jockey wheels. I disassemble them completely, clean and put back with Slick 50 1-Lube. I added two links to the KMC Z72 chain. Now there's much less resistance when spinning the crank backward in the 42/24 combo with the original Suntour freewheel, and 42/25 combo in the new SunRace freewheel. Apparently the chain tension was much too tight. It still doesn't spin as freely as it should, or as freely as my other two bikes. It sounds like that was part of it. I still think there's something else amiss. I'd really like to be looking down at that BB spindle when it's under load and not under load. Your resistance there would be noticeable. If that spindle is moving in there, the torque under misalignment is significant. I still think the tightness of the chain amplified the underlying issue, and that it is some kind of bent part, axle or BB spindle, or a misaligned rear wheel, freewheel not seated properly, bent RD hangar (would cause resistance right before the RD catastrophically fails---don't ask me how I know this). This is very interesting. I know I owe some folks here the steps to easy and long-term alignment of single pivot GPX and 105 calipers, but I'll get to it. Hint: cone wrenches, and you shouldn't see much movement when the caliper is bolted up, correct housing length or not. Plus you have a resource a mere 100 miles away. Welcome to the cult. By the way, my son had fun in Finland. I did not ask details. Yup, I thought about graphite powder. I used to have a bunch of moly lubes too -- dry powder and another with a solvent carrier that evaporated. Misplaced 'em a few years ago. Moly works great but leaves more persistent black smudges than graphite. I might fiddle with the B tension screw, especially if I go to a 13-28 freewheel -- probably necessary to get enough clearance for the big cog. Yup, I wondered about those things. I checked everything as well as I could, just eyeballing it. Everything *looks* straight, but I may not even know what to look for. The SunRace freewheel is new, should be okay. I just installed it Friday. Only problem was shifting to the little cog. Coin finally dropped -- the dork disc was interfering. The rear of the SunRace body is just slightly thicker than the Suntour. After removing the dork disc everything was fine. Seems to shift well and I like the spacing a bit better. I'm definitely interested in the alignment tips when you have time. You mentioned one for the GPX brakes too awhile back. Thanks. For now I'm just positioning the cable housings so the brakes don't rub. Works well enough. I've owned two Miami Vice Ironman that were original and one that wasn't. But of the the two that were neither had the white saddle (possibly a slip cover) as depicted in their ad. Instead it's a dark brown suede vetta turbo style saddle. 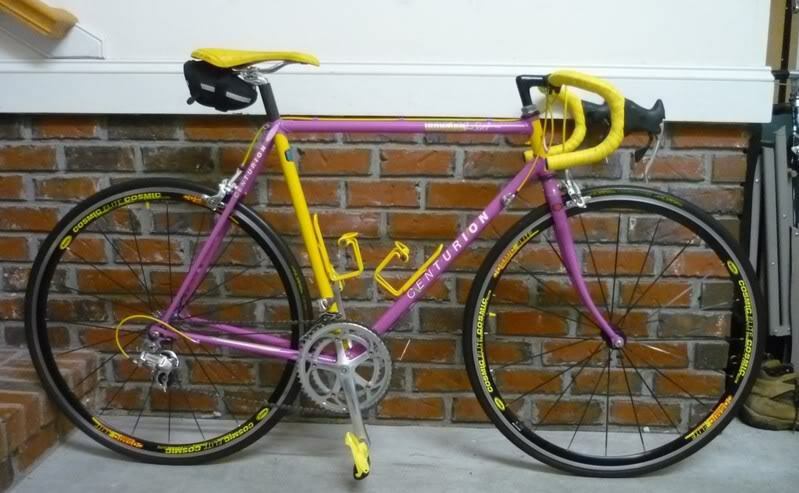 Has anyone ever aquired an original Miami Vice with a white saddle like the one depicted in the 80s ad? That ad threw me off too. I thought they came with black suede that just faded to brown? I know the white saddle looked so good, I ordered a white Vetta saddle before I even bought the bike just in case. I've never seen a white Vetta saddle anywhere but in pictures, and never on a 'Vice ride. It looks good in the photo, though. I have seen a yellow one on a 'Vice, and with matching wrap, it looked great. I've never been one to run white on a 'Vice. It's not a white saddle, it's a lycra cover. If you look closely at the picture, it says "Centurion" on the nose. Also, if you look at the catalog for 1987 it says it's a lycra seatcover.